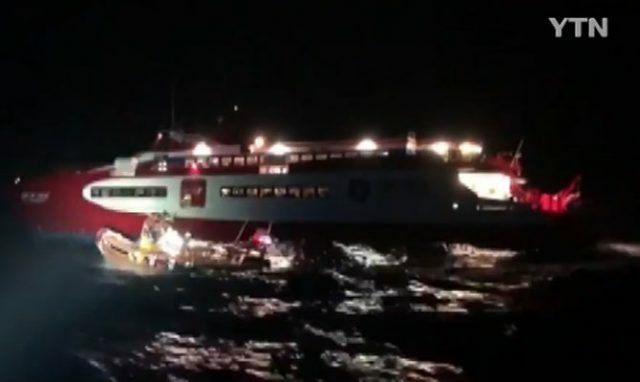 On March 31, the 53 meter long, 62 dwt high speed catamaran ferry Eldorado struck an unknown object in the Sea of Japan while en route to Ulleundo Island from Dokdo, South Korea. The Eldorado sustained hull damage and water ingress in the engine room. The crew was able to control the flooding with the vessel’s pumps and maintain power. The Eldorado contacted authorities who dispatched a patrol vessel to the scene. The patrol vessel escorted the Eldorado which had to proceed at reduced speed to Ulleungdo Island. No reports of injuries to the 403 passengers and crew on board.